There are affiliate links in this post. 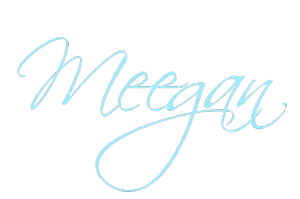 I will make a commission at the time of your purchase, at no extra charge to you. I imagine you are finishing costumes, buying,candy, carving pumpkins, or preparing for a Halloween party to attend. The excitement is everywhere. 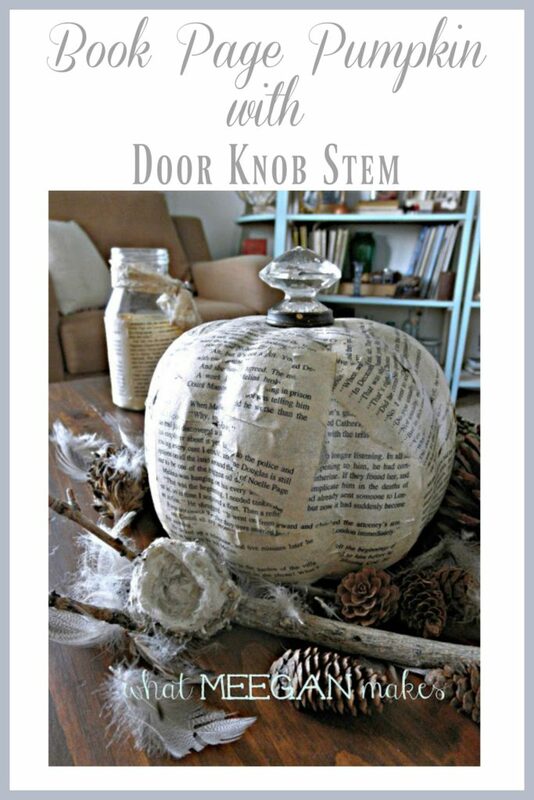 As for me, I am still in Fall decorating mode with my book page pumpkin with a door knob stem. I really do have a fascination with book pages and all that you can do with them. Why? I have no idea, other than I like the look, feel, and aged look they bring into our home. To me they are a piece of art themselves. With worn, torn and aged pages, they tell more than a written story. On my coffee table are 3 of my book page projects. I have many more around our home, as well. I kept looking at my thrifted coffee table and my book page pumpkin. And, then it hit me!! 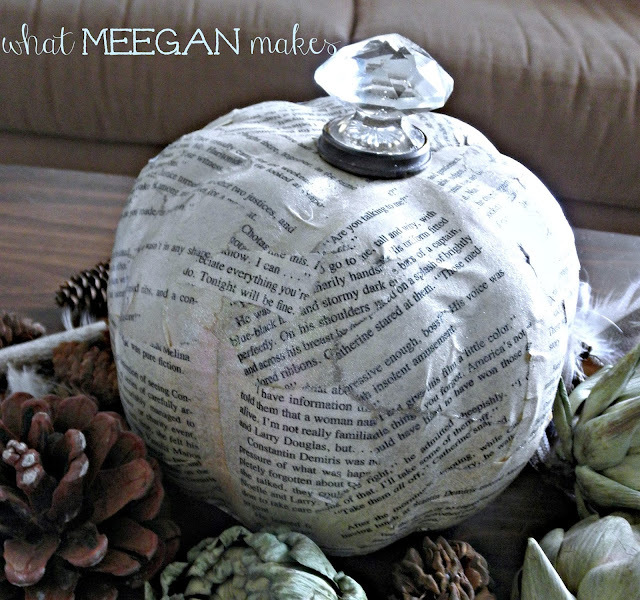 To add detail and even more personality to my book page pumpkin, I could add a door knob for a stem!! It only made sense, right?? My love for vintage finds could be put together on my book page pumpkin. Surrounded with pine cones, dried artichokes, magnolia seed pods, and a branch with with a hummingbird nest and feathers, she is looking pretty amazing! Adding a door knob to this pumpkin was one of those small changes, with a big impact. The pumpkin feels finished to me now. I have found gorgeous door knobs and drawer pulls at Hobby Lobby, Anthropologie and Habitat for Humanity. Sometimes they have them by the hundreds. They are various colors, styles and taste. You will have a blast looking for your next project. It was almost like,”DUH, why haven’t I thought of that before?” NOW, my book page pumpkin with a door knob stem is complete. Thanks for stopping by today. I have enjoyed showing you what I have been up to lately. Thanks SO much Lindze!! I am so happy to have you here. See you again, real soon. Your pumpkin is beautiful. I love the door knob stem. Absolutely wonderful! Aw, thanks so much Bonnie! You are so kind. This is so pretty! 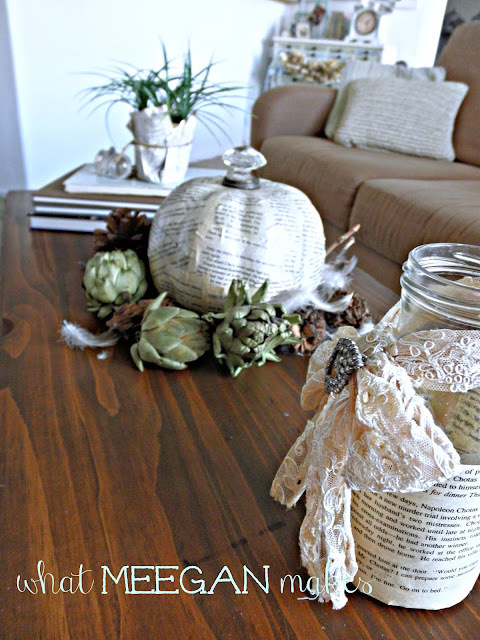 I love decorating with book pages. 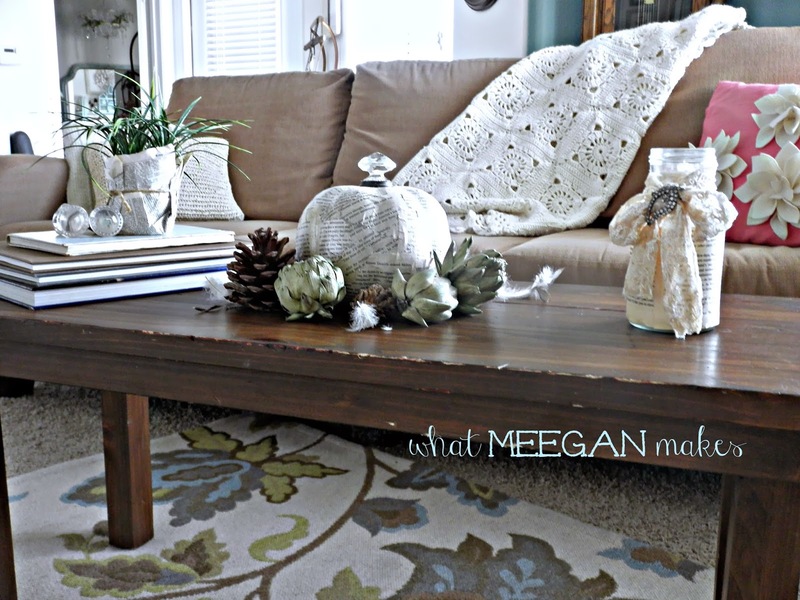 They create such a warm and cozy feel to decor. The door knob is a great touch, too! Thanks Kirsten! Book pages are hard for me to resist :) Make it a great day! Very nice! Great job. I love the addition of the knob. It really sets it of. 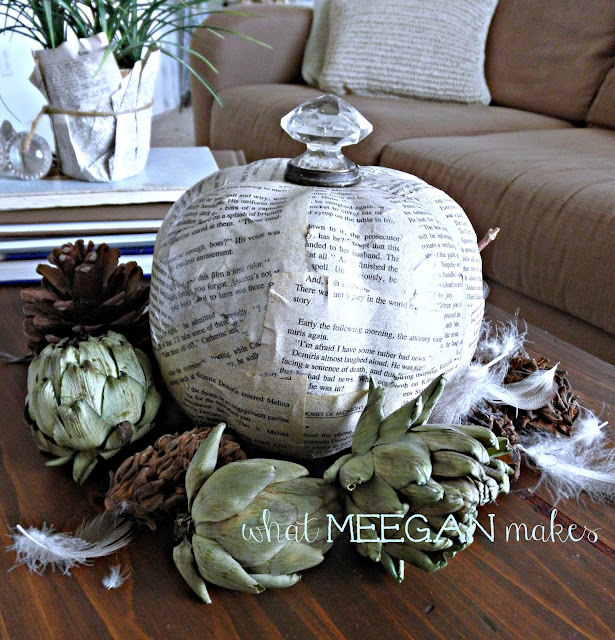 As an avid reader, anything made with book pages is a sure eye catcher. Thanks for sharing! I love that knob stem – SO cute! What a cute pumpkin! 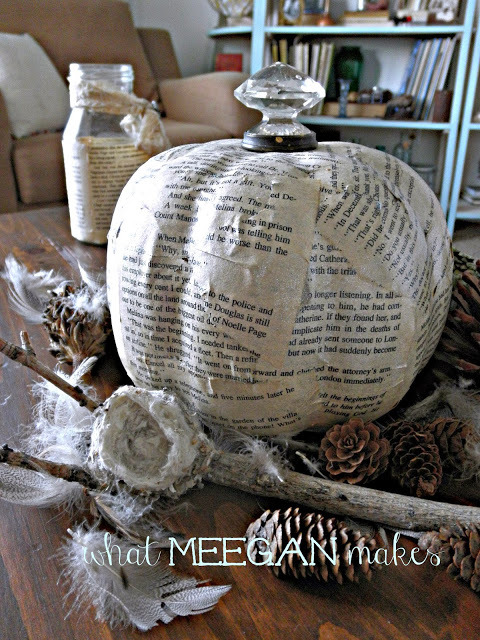 I love how you used the book pages to cover it, and I Love the knob as the stem! Super Cute!